One 14 karat yellow gold ring. 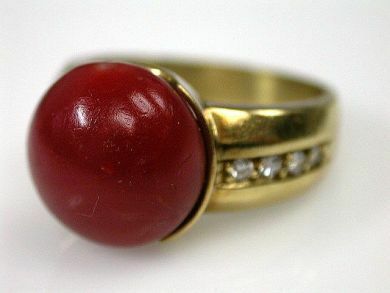 One cabochon coral (8.52 carats: deep salmon red colour). EIght single cut diamonds (0.12 ccarats: VS-SI clarity: H-I colour).